This Deluxe Amenities Trunk was designed for the University Of Colorado. 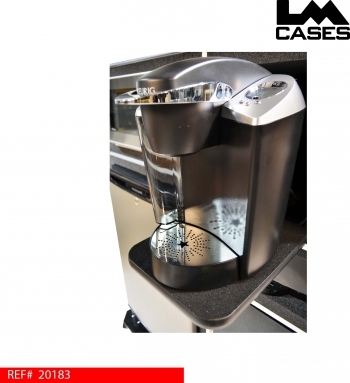 The case features custom compartments that come complete with a refrigerator, microwave, Keurig beverage maker and Bose Sound Dock. The appliances and installation were handled by our in house Custom Integration department. 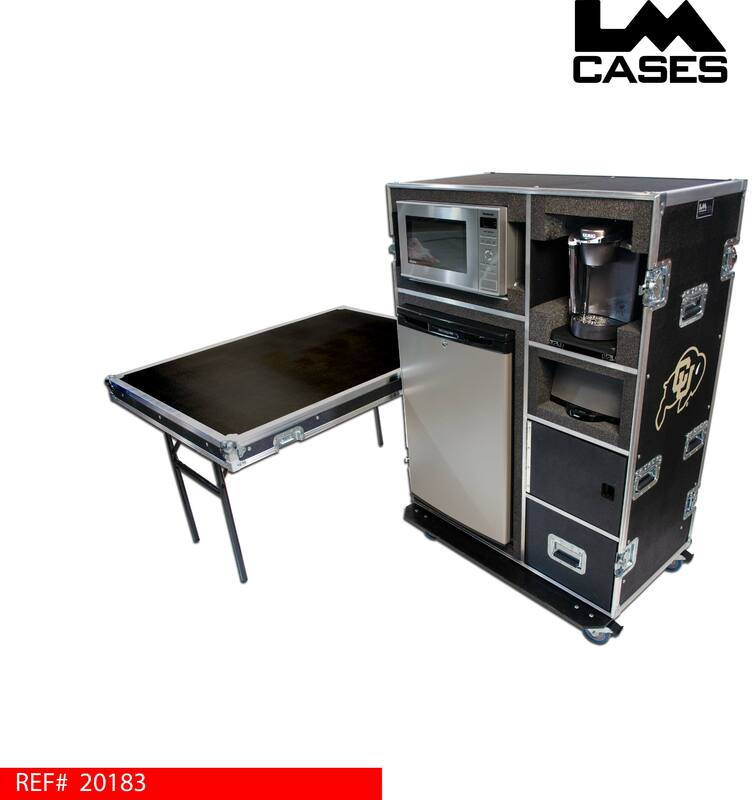 The case was designed to provide a home away from home solution to the team while they are on the road. Anyone who had toured extensively or has spent a lot of time on the road knows how valuable a hot cup of coffee and a quick snack can be! Our CI department built in a custom 30ft retractable extension cord reel that allows the user to simply pull a single cord out of the case and plug it in with out the need to carry a separate power strip and extension cord. As an added feature, the rear case lid doubles as a table. 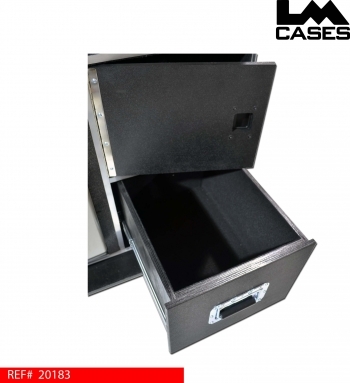 The exterior case is built out of 3/8" plywood and features 4" Colson casters, deep recessed handles and a custom silkscreen of the University Of Colorado logo. Special thanks to the University Of Colorado!